Firmly rooted in the Martial Arts traditions, the greetings are fully integrated in Shin Gi Tai Kempo. Every course starts and ends by greetings. More than a symbol of politeness, it also symbolizes practitioners’ mutual respect. 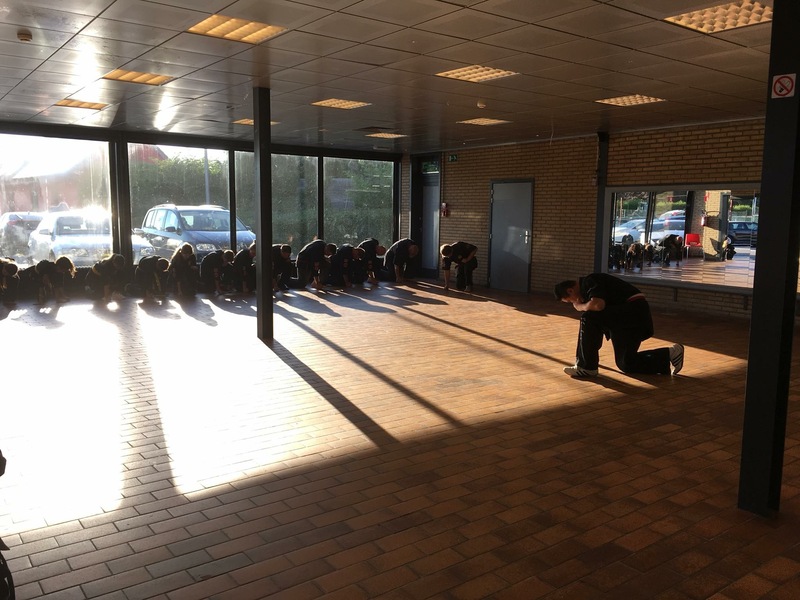 This ritual always takes into account the seniority expressed by the degrees. The master is always the first person to be greeted. With its Martial Arts origins, you must look the person straight in the eyes. When you are outside the dojo, you can keep your belt in your hand or in your kimono’s vest. 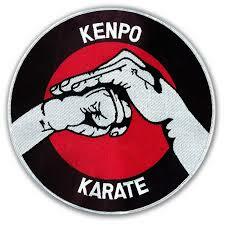 Once you enter the dojo, your belt should be in your right hand. The “Sergeant of arms” (s.o.a) or the person designated by the Sijo or the teacher will gives the order YOI. Everyone is follows the order and stand in yoi. 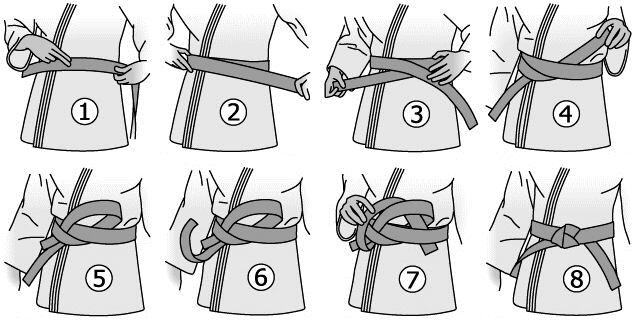 Following this step, the s.o.a gives the order BELT. Take your belt with both hand on each extremity to spread it above your in one go which should produce a clacking sound. Press the belt on your forehead, then on the mouth and finally present the belt in front of your heart to spread it again with Kime. Turn your back to the center of the dojo, put your belt on and take back your initial yoi position. Put your right knee and fist on the ground to meditate on our Shin Gi Tai Kempo life rules. Everybody greets the Sijo or the teacher first. All black belts turn to the colored belts and the colored belts greet the black belts. 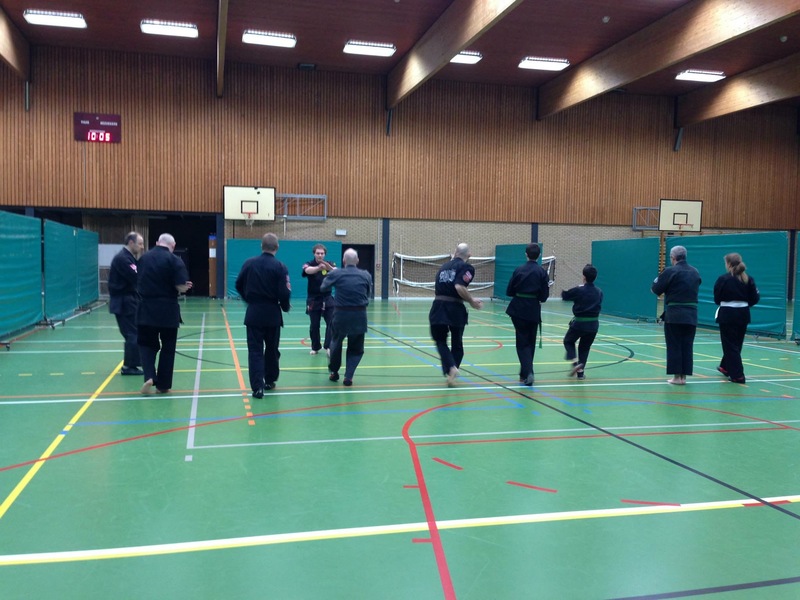 All black belts turn to initial position and everybody greet.